The Smile is a sturdy, durable and safe table that is suitable for all sites ranging from home games rooms, schools, youth clubs, institutions, offices or common rooms. The player poles are chrome plated, heavy duty, fast action solid steel rods. The legs are easily detachable and bolt securely to the underneath of the table. Designed to ensure the player benefits from great playability without any compromise on build quality. 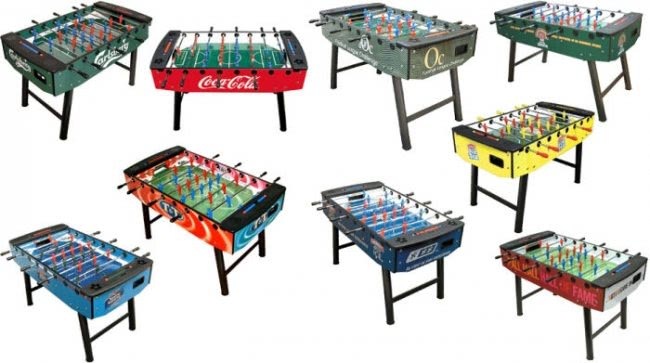 Full-size tables such as the Fun are perfect for branding with logos or colours.